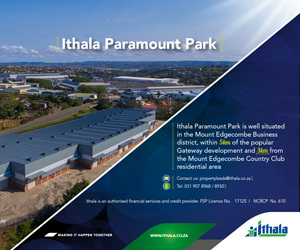 Leading South African property developer and investor Atterbury has begun construction on Old Mint Park, a prime industrial development neighbouring the landmark South African Mint and fronting the N1 highway, centrally located between Midrand and Centurion. Atterbury, the leading South African property investor and developer, continues to reshape the Joburg skyline with the development of Joburg City Auto BMW and Joburg City Ford - two state-of-the-art motor showrooms and service facilities. Atterbury is leading the wave of property development and investment in Johannesburg’s Newtown precinct, adding further critical mass to burgeoning attractions and businesses already centred in and around the popular mixed-use Newtown Junction.